Thank you for the wonderful care you’ve given Evan over the past 3 years and the hard work you do day after day. 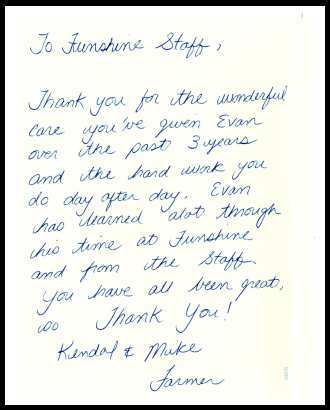 Evan has learned a lot through his time at Funshine and from the Staff. You have all been great. Thank you!